These stylish short lets apartments are set within an elegant Victorian building in Bayswater providing guests with an enviable central London location. The transport amenities of Paddington, the central shopping district of Oxford circus and the open green spaces of Hyde Park are all close by. Studio, one, two and three bedroom apartments are offered in three categories: standard, superior and executive. All serviced apartments are decorated in contemporary style favouring bright and uncluttered living space with stylish yet comfortable furniture. Apartments benefit from 24 hour reception and security with CCTV, Wi-FI Internet access, air-conditioning, LCD TVs with cable and Freeview channels, fully equipped kitchens (kitchenettes in studio apartments), spacious double bedrooms (studios with double pull-out sofa) and modern bathrooms with power showers. 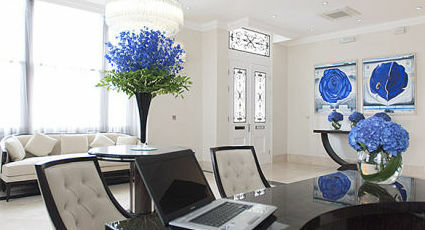 Nearby Paddington Station provides Circle & District, Bakerloo and Hammersmith & City line services as well as connections to Heathrow airport and beyond. Lancaster Gate Underground Station is also nearby for Central line services. A number of bus routes are available from the nearby Bayswater Road and Westbourne Grove providing services to Oxford Circus, Kings Cross, South Kensington, Mayfair and Covent Garden.